Call to the shop or ring me on 087 2740788 for more information. Clinic July 14th Horans Health Store Clash Tralee Call 066 7185901 to book. Feb 7th Killorglin Talk on how to stay mentally well. If you wish to know more or would like to work nutritionally to reverse this condition, at Irish Heart Health we are using a low carb approach with so many benefits. The meals are tasty, and filling, the tummy fat shifts and your health markers will improve. My next clinic is in Adare Health and Wellness Centre on Friday Sept 16, availability is limited so please book ASAP with Sinead or Sandra on 061 395 064. Special price €50. This nutritional consultation is a comprehensive look at your overall health, to get you on a healthier path. It includes a look at your diet, lifestyle and history, a unique Cardioscope screening for your cardio health and an analysis of your current blood tests from a nutritional angle (optional). I provide a personalised and easy to follow dietary plan. Recommended for anyone over 35 yrs, particularly if excess weigh, blood sugar control, diabetes or heart health are an issue or even a worry. 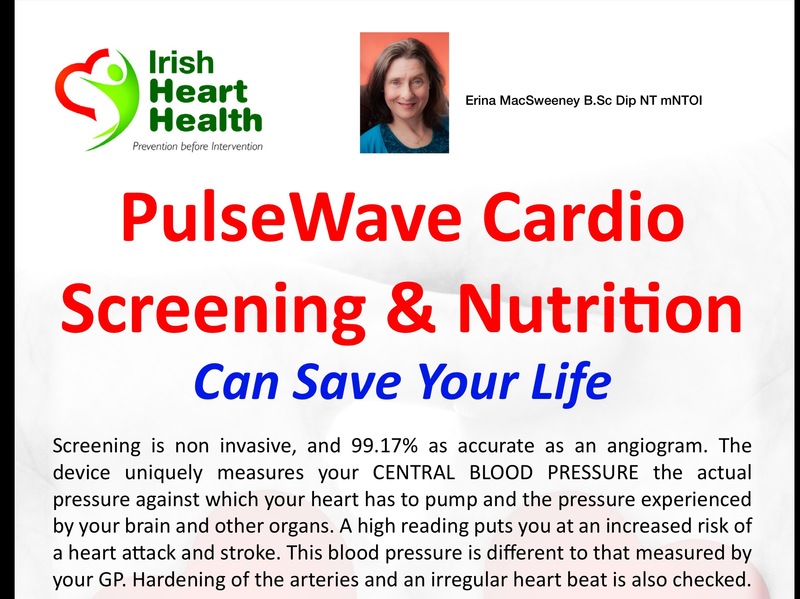 Further infomation at http://www.irishhearthealth.com.